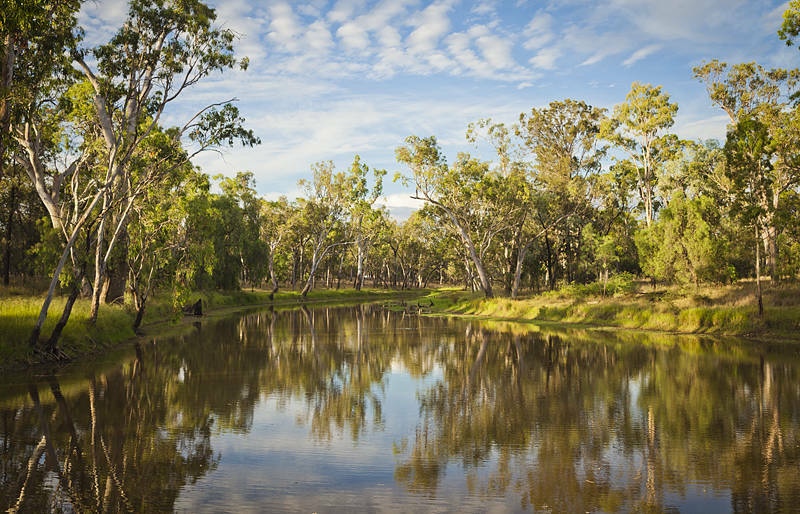 This is Judd’s Lagoon just outside Yuleba in Queensland, Australia. It has been our campsite for the last few days. It is a popular fishing spot and locals come here to cool off in the water. From here we plan to go west to Roma then Mitchell where Karen is looking forward to the Great Artesian Spa. It looks lovely. Like the town’s name – so appropriate. Our Yule Bar will be the Square & Compasses. Merry Christmas! It did not feel that festive on Christmas day until the local churches turned up and sang carols in the open air next to us.